A pioneer of fusion research who joined CEA at age 20 in 1959, Aymar led the ITER Project from 1993 to 2003 and was later appointed Director General of CERN. It takes hundreds of scientists and engineers to build a project such as ITER. But in order to inspire and mobilize them, what is required first and foremost is a man with a vision. For more than two decades French physicist Robert Aymar was that man. A pioneer of fusion research who joined CEA at age 20 in 1959, Dr Aymar headed the Tore Supra superconducting tokamak project (CEA-Euratom) from conception in 1978 through to the start of operations in Cadarache in 1988. "Why do you think I decided to build Tore Supra in this very corner of CEA-Cadarache thirty-three years ago?" he asked the audience in the Salle René Gravier. "It was because I knew that, one day, we would put ITER right next to it..."
The "Godfather of ITER," as Director-General Osamu Motojima introduced him, paid an impromptu visit to ITER last Wednesday and accepted Mr Motojima's invitation to encourage the ITER staff by sharing his vision and memories with them. 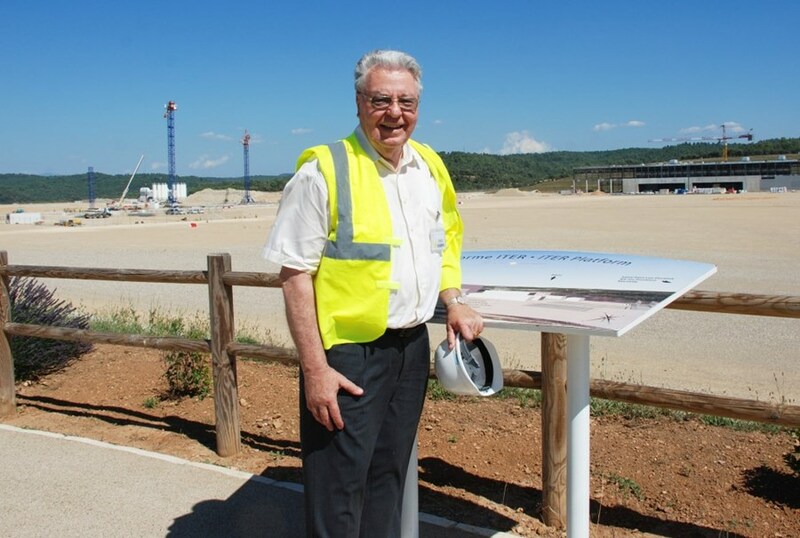 The moment was quite emotional, both for Aymar and for many in the audience who had worked under him, either during his mandate as director of ITER (1993—2003) or later when he was CERN Director General (Jan 2004—Dec 2008). "I see so many faces I know," he said. "I want to tell you that I feel close to you." 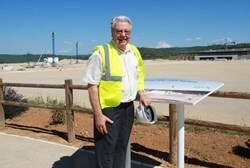 ITER as we know it is largely the brainchild of Robert Aymar. Between 1998 and 2001, as the US had temporarily left the project and the Soviet Union was collapsing, he steered the ITER teams in Munich and Naka through particularly rough seas. The man at the helm, however, remained confident: "By 2003, China and Korea having joined the project, we were in a position to show the world that fusion energy could become a reality." Aymar had a lot to tell about the subsequent ITER history and about his own struggles with "bureaucrats of all countries." More important, he had a message to convey: "It is your personal responsibility," he said, "to dedicate your life and passion to this project. You are in charge! What you are doing is of utmost importance for the future of mankind. We need fusion. We need to succeed." In the applause that followed there was more than the polite hand clapping that usually concludes conferences or presentations. There was warmth, gratitude and—above all—respect.